The mayoral candidate has himself a night on Facebook. It’s beautiful spring day in Dallas. 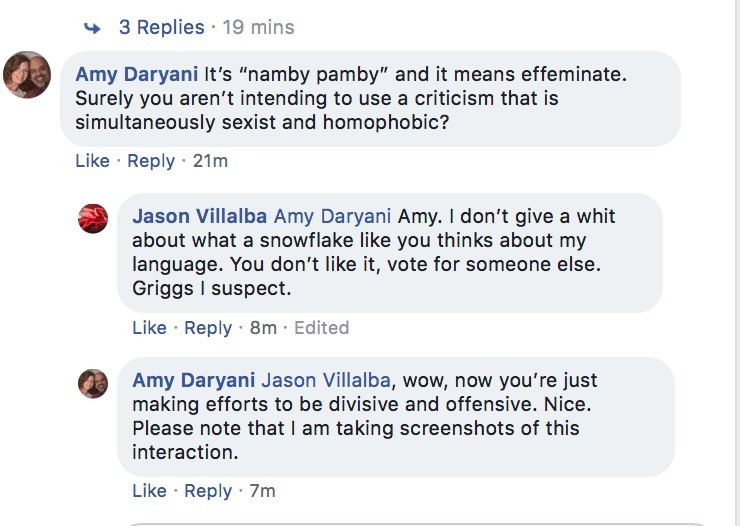 But in the mayor’s race, we have our first “snowflake” reference. 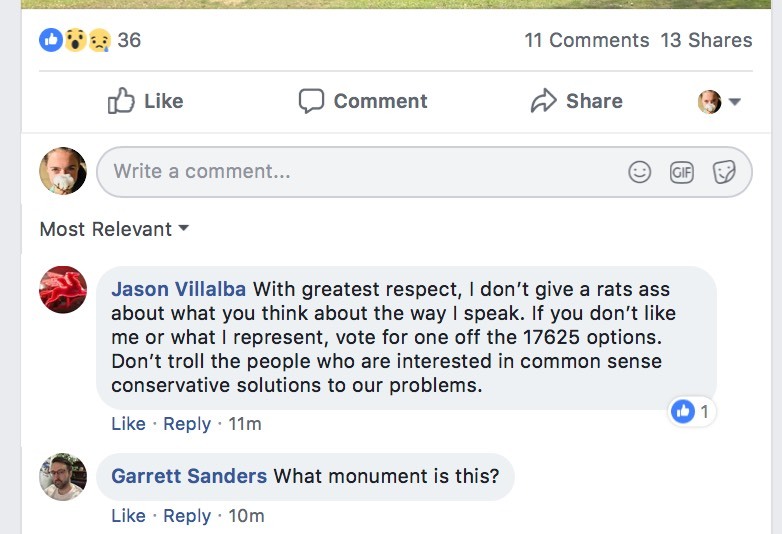 In some since-deleted Facebook activity, former state Rep. Jason Villalba got into it with a couple commenters who took issue with the tone of his rhetoric. He has since deleted both of the comments. He took some of the more excitable language out of the original post, mamby pamby included. I was made aware of this situation this morning. Suffice it to say, neither the text of the original posts nor the comments were my voice. Lots of staffers and folks have access to my campaign and personal passwords. Clearly, I need to change them. I have edited the posts to be more in line with how I would have worded them and deleted any comments that were less than gentlemanly. 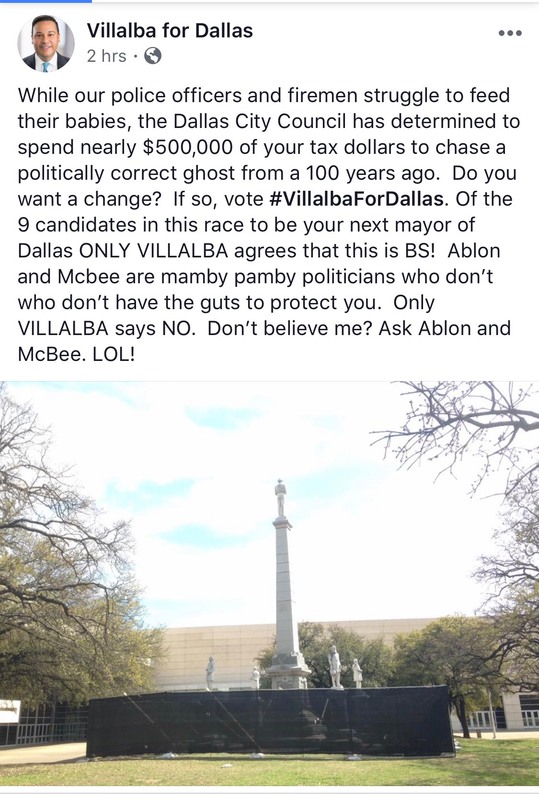 Villalba and social media have a speckled history. In a 2017 spat, he called a conservative blogger a, “fat, oafish dufus.” He later apologized (even hashtagging #Apology). He’s also taken heat for his blocking habits. 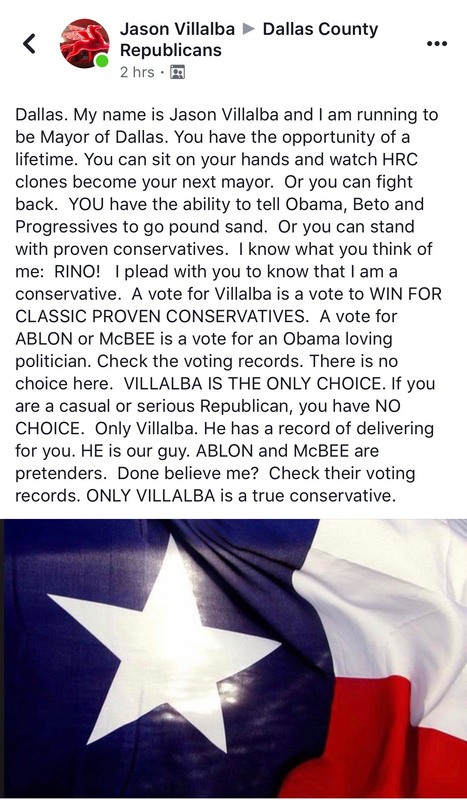 Villalba’s sudden combative appeal to a certain brand of conservatism marks a change. After Dallas County went overwhelmingly blue during the November election, Villalba spent the first part of his campaign talking about working across the aisle. A Democrat spoke at his campaign announcement in January. But since, he’s veered to the right, decrying pulling down the Confederate statues, urging the city to work with the Legislature instead of oppose them, and advocating for a reduction in city regulations that he says will scare off new businesses.